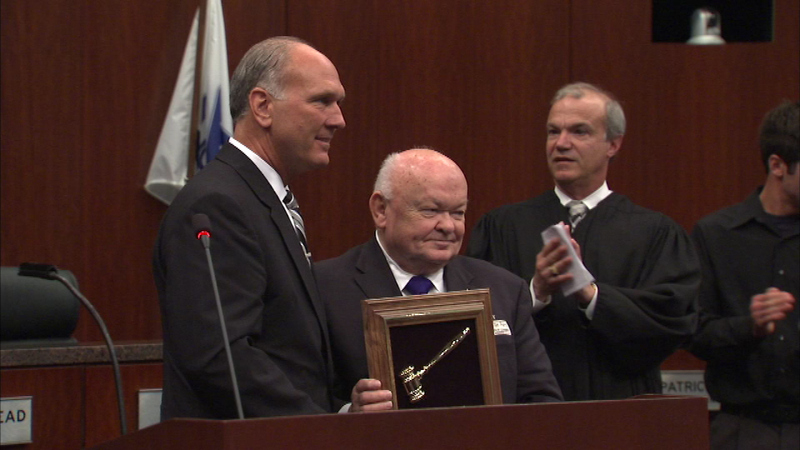 New Naperville Mayor Steve Chirico presents a plaque to outgoing Mayor George Pradel. NAPERVILLE, Ill. (WLS) -- For the first time in 20 years, there is a new mayor in west suburban Naperville. Mayor Steve Chirico took the oath of office Sunday, replacing George Pradel, who decided not to run for re-election after five terms. Mayor Chirico will preside over his first City Council meeting Tuesday.